IBS stands for irritble bowel syndrome, a combination of abdominal cramping, diarrhoea and/or constipation. 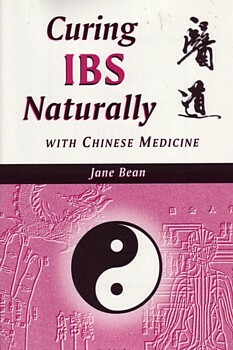 Chinese medicine treats IBS very effectively, both with acupuncture and Chinese herbal medicine. The author discusses the Chinese medical causes and mechanisms, pattern discrimination, and Chinese patent medicines and dietary therapy for this condition. She also gives many low cost home remedies, such as Chinese aromatherapy, magnet therapy, foot reflexology, self-massage and simple Chinese medicinal porridges and teas. Rounding out this presentation are chapters on acupuncture, how to find a local practitioner, and learning more about Chinese medicine. There is an annotated bibliography, a glossary, and complete index. An ideal book for those with IBS.